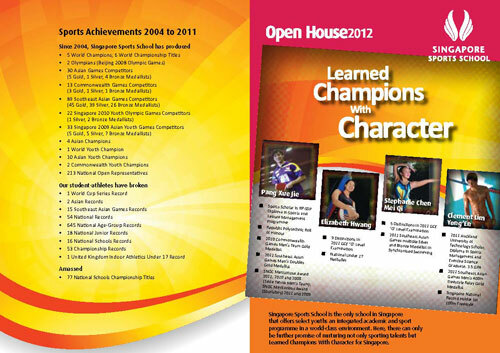 Singapore Sports School who is Singapore Athletic Association partnership in sport would like to showcase their upcoming Open House. Singapore Sports School is the premier sports school with an international reputation for excellence in student-athlete development. We are established as a Specialised Independent School, offering academic and focussed sport training to aspiring and talented student-athletes who aim to be Singapore’s sports champions. We nurture Learned Champions With Character through world-class youth sports development, academic rigour, character excellence and organisational excellence. We encourage the values of respect, integrity, responsibility, excellence and resilience. Attend our Open House to obtain more information on School Admissions, meet with academic faculty and sport coaches, tour our world-class sport facilities and get a glimpse of Olympus Lodge, our Boarding School. Please download the Application/Registration Form. All fields are mandatory. Please ensure that the Application/Registration Form is fully completed before you submit it either online, by hand or via facsimile transmission. Please go to the respective Sport Academy pages.